During the mid-19th century tourists began visiting the geothermal wonders in and around Rotorua. 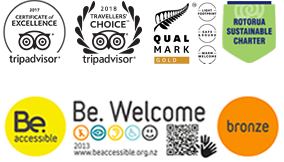 As tourism developed in the area, guiding became a formalised profession for local Māori guides. Several Maori guides became international personalities in their own right, guiding international visitors through geothermal attractions with humour, charm and navigating deftly between English and Maori languages and culture. Today, a guiding tradition that began over 200 years ago remains strong thanks to the excellent work of guides (both past and present) of Whakarewarewa, The Living Māori Village. Best known as “Guide Sophia”, Sophia Hinerangi became a renowned guide on shores of Lake Tarawera, guiding visitors to the Famous Pink and White Terraces in the late 1800’s. 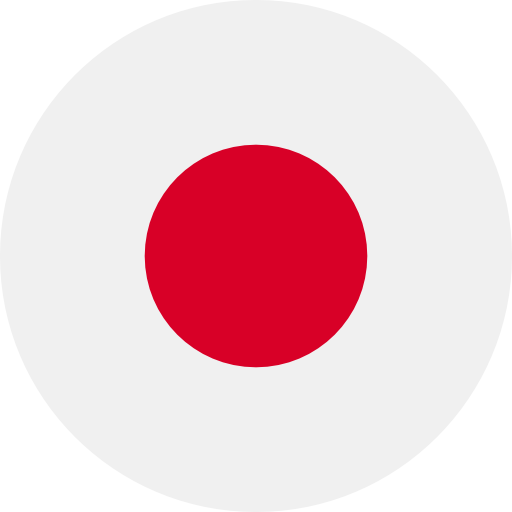 Following the eruption of Mt. Tarawera in 1886, Sophia continued her career as a guide at Whakarewarewa. 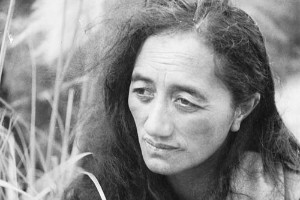 Here she played host to thousands of tourists, including several royal parties, and encouraged other local women to become guides, helping to establish this occupation as a lucrative form of employment for Tūhourangi Ngāti Wāhiao women. 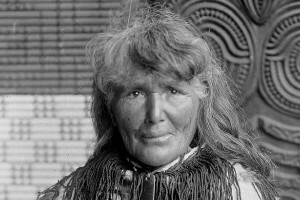 In 1896, Sophia was appointed caretaker of the Whakarewarewa reserve, where she lived out her life until her death in 1911. Under the tutelage of Guide Sophia, Makereti (or Maggie) Papakura came into guiding following a rural Māori upbringing. With parents of both Māori and Pakeha descent, Maggie was able to gracefully navigate between the visitor and indigenous worlds. She and her sister Bella both lived through 1886 eruption of Mt Tarawera and saw many changes to her home in her youth. Today, Maggie’s house, which was named after our ancestor Tuhoromatakaka and built by master carver Tene Waitere, still stands in the village. Sister to Maggie Papakura, Bella also continued in carrying on the guiding heritage. Today, a small carved wharepuni (house) at Whakarewarewa still stands, which was built for Bella by her husband; this building is now listed as a Wahi Tupuna with Heritage New Zealand. Through her guiding career, Bella worked as a mentor to a number of Whakarewarewa guides. She and her sister also played a role in bringing Māori song and dance to the world stage, starting a ‘Māori Dance Troup’ to entertain village visitors. 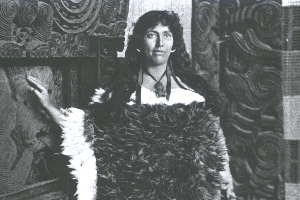 Rangitiaria Dennan, better known as Guide Rangi, was born near Rotorua in 1897. None of her older siblings survived infancy, so Rangitiaria spent her earliest years kept apart from other children as a tapu child. During this time, she became well versed in bush lore and the ancient traditions of her people. 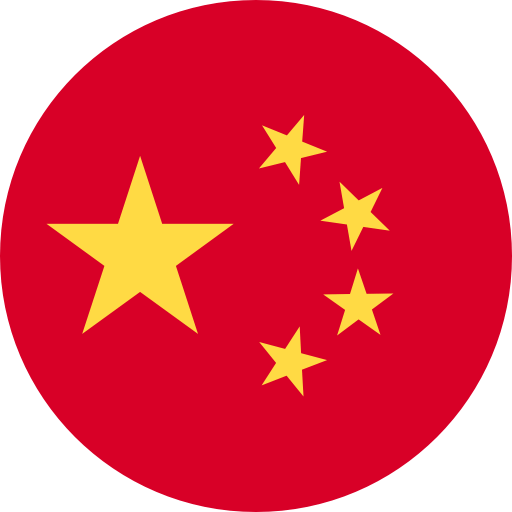 As a girl, she travelled to Australia as one of Makereti (Maggie) Papakura’s concert party. After spending some time as a teacher, Rangitiaria returned to Whakarewarewa and found her vocation as a guide. She placed great importance on preserving Māori tradition and achieved wide recognition as a cultural ambassador. With charm, insight and wit she imparted the essentials of Maori tradition to the tourists she guided around the thermal attractions. Her famous guests included Eleanor Roosevelt and Queen Elizabeth II. Dorothy Huhana Mihinui, better known as “Guide Bubbles”, was born in 1919 and became a registered guide at Whakarewarewa in 1938. Tūhourangi Ngāti Wāhiao Chief Mita Taupopoki chose Bubbles as a guide and Guide Bella Papakura became her teacher. 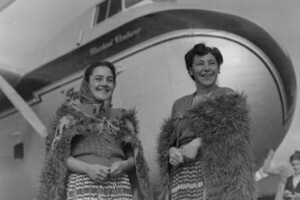 During her time as a guide at Whakarewarewa, Bubbles developed an encyclopaedic knowledge of Māori protocol, kapa haka and flax weaving. She also hosted numerous dignitaries, but regarded each visitor as a VIP. 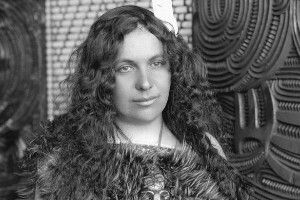 Her guiding philosophy was based around letting visitors see and experience Māori culture for themselves. In 2002, she became a Distinguished Companion of New Zealand Order of Merit and in 2004, Bubbles was awarded the Sir Kingi Ihaka Award for her services to tourism. When she passed away in Rotorua in 2006, then-Prime Minister Helen Clark attended her tangi at Whakarewarewa. Today the guides of Whakarewarewa – The Living Māori Village carry on a proud legacy of sharing their homes and lives with visitors from around the world. Many of our guides live at the village and come from families who have had ties with Whakarewarewa for more than five generations. Visit Whakarewarewa, The Living Māori Village to experience a Guided Village Tour with one of our talented, experienced guides.